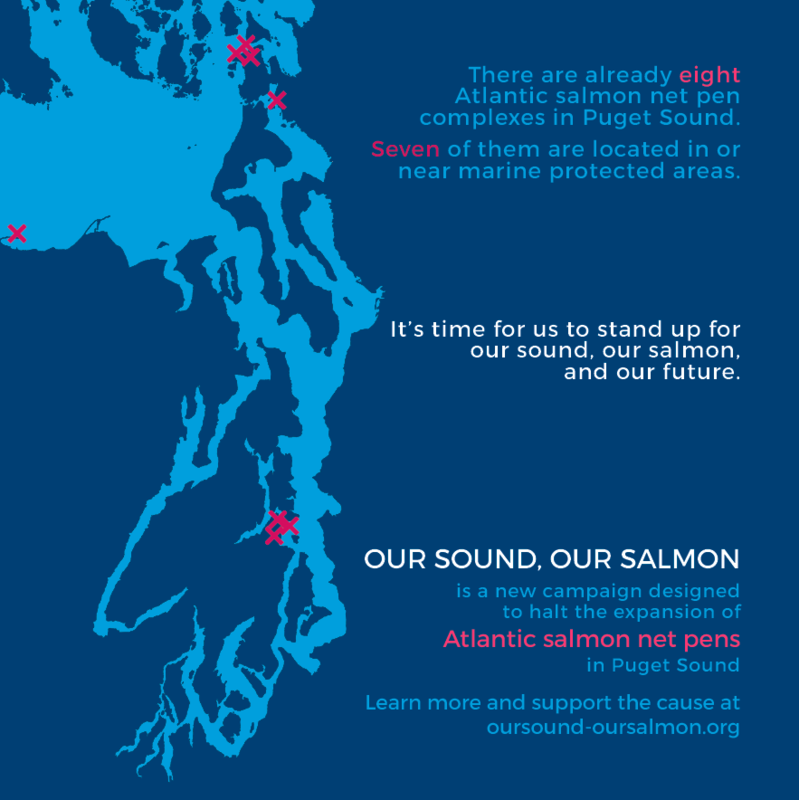 Orca Relief Citizens Alliance is proud to be partnering with Our Sound, Our Salmon. 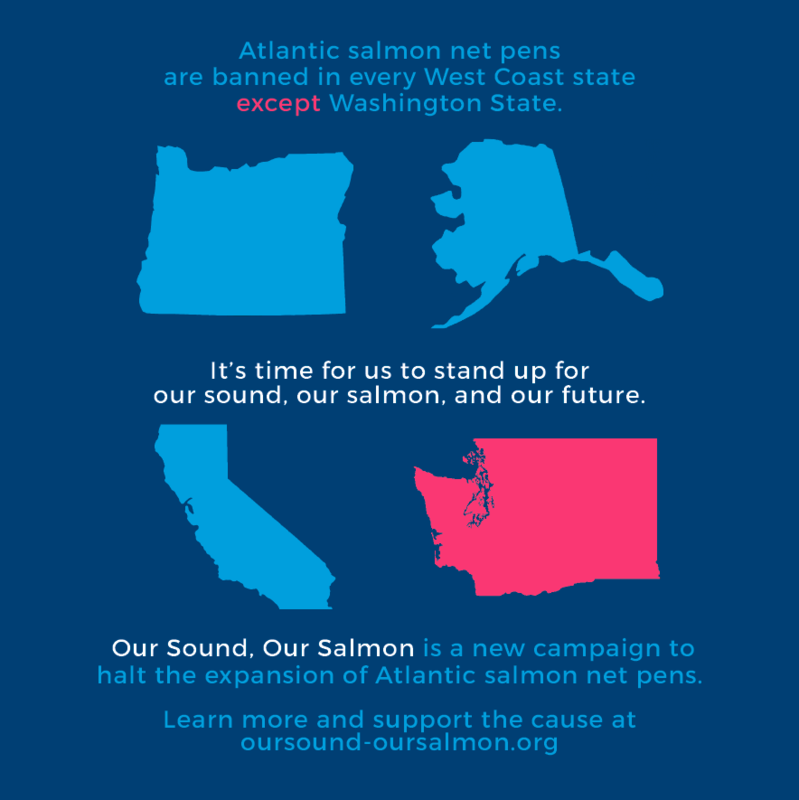 A grassroots campaign dedicated to protecting Puget Sound from the Atlantic Salmon net pen industry. Sign the petition here! Cooke Aquaculture, an Atlantic salmon net pen conglomerate, is threatening the health of Puget Sound with their plans to further transform it into an epicenter of Atlantic salmon net pen production. We cannot risk putting our Sound, our salmon, and our future into the hands of an industry with a long history of negative environmental, social, and economic impacts – impacts that led California, Oregon, and Alaska to wisely ban this industry. It’s time for us to stand up for our Sound. It’s time for us to stand up for our salmon. 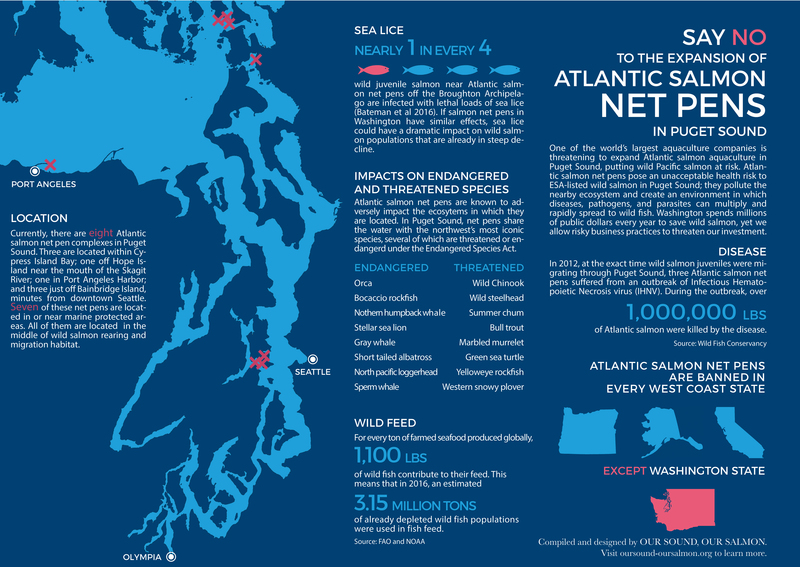 And it’s time we stand up for our future by stopping the expansion of destructive Atlantic salmon net pens in Puget Sound and the Strait of Juan de Fuca. 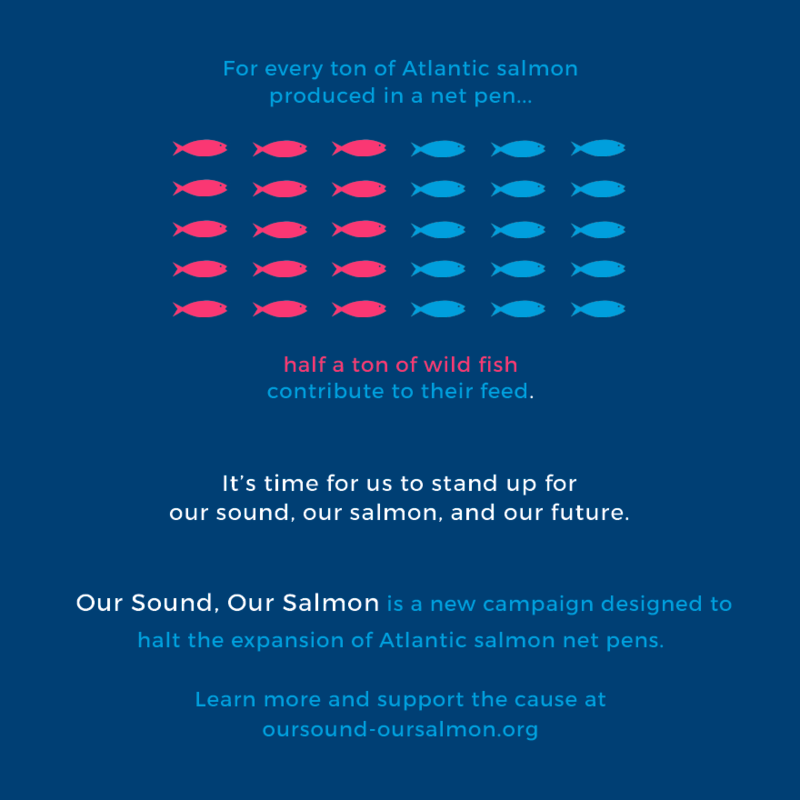 Read More and get involved at: Our Sound, Our Salmon.